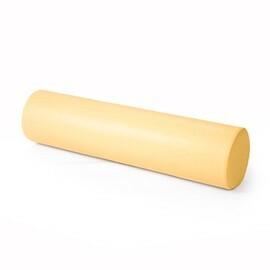 Rehabilitation rolls are made of anti-crease polyurethane foam. Covered with padding (the colour of which you can choose), such roll will raise the effectiveness of treatments, physiotherapy exercises or massage. The roll serves as a support for the patient’s feet, knees or shoulders. Because of the various measurements, the rolls are divided into three sizes (1000x500mm, 600x200mm and 600x150mm), which allows the choice of a roll appropriate to the given treatment.